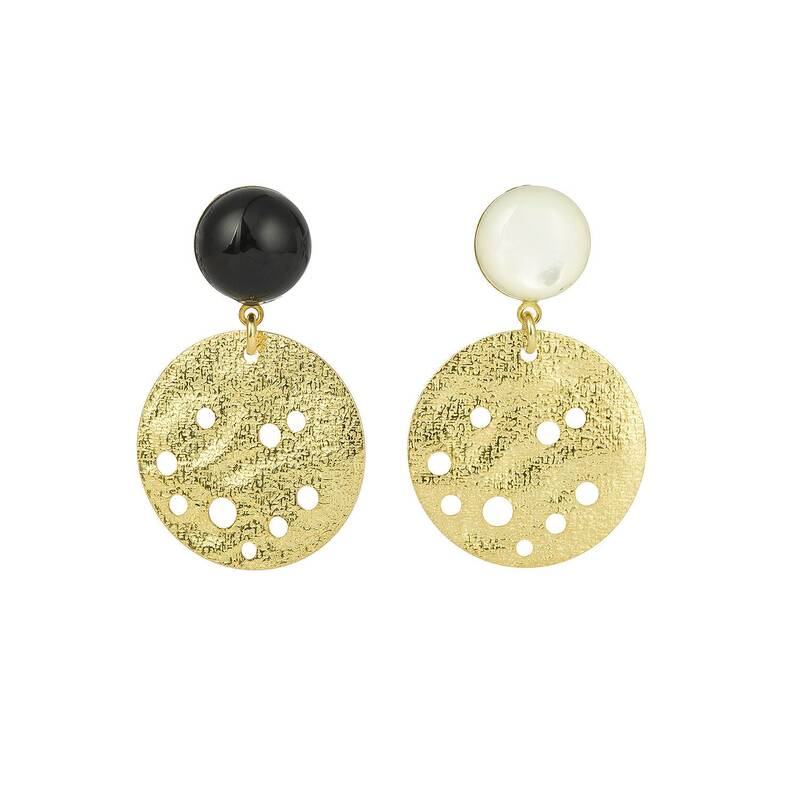 Asymmetrical drop earrings composed of brass with black agate and mother-of-pearl gem stones. 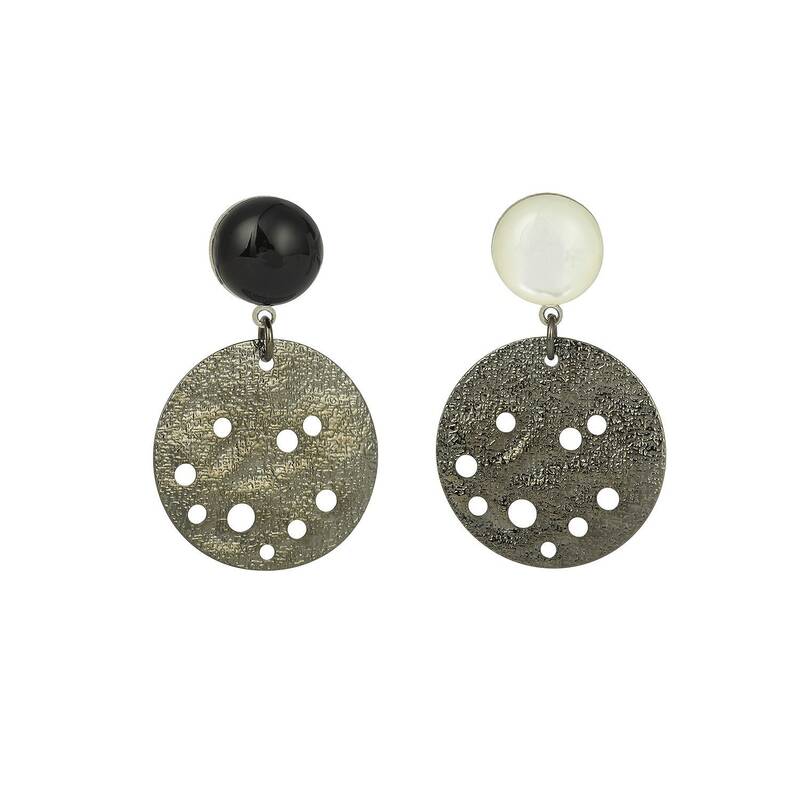 Black agate and mother-of-pearl are natural stones. Each stone is unique, no two pieces are exactly the same. Clip earrings available on demand. Stay in touch and follow us on instagram and facebook @youmparis!